CNET UK has tested one of the newest digital cameras from Leica. This camera is very similar to the Panasonic ZS7/ TZ10 compact, but has a few changes and of course a higher price tag. The Leica camera is called Leica V-Lux 20 and features over 12 megapixels, 12x optical zoom and even built-in GPS. CNET UK ends up giving the Leica V-Lux 20 a total score of 3.5 stars out of 5 possible. On the positive side we find aspects such as useful zoom range, good construction, the camera is easy to use and the GPS-tagging is handy. On the negative side the reviewer finds only one major point and that is hefty price tag that comes with the red Leica badge. The V-Lux 20 is a very good compact camera, but is the Leica tag worth the extra money or maybe one should look at other compacts that has more features? 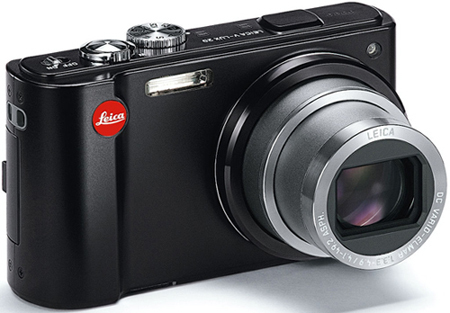 Read the full review of the Leica V-Lux 20 digital camera here.